The entire stretch of Manali Leh highway, extending to 470 km, is strewn with captivating sights. One get the feelings of standing shoulder-to-shoulder with soaring mountain peaks. Rows of perfectly polished brown hills greet you after every few miles. Occasionally, a bemused passerby greets you apprehensively, wondering about the nature of your presence. Naturally, camping in this “land of passes” is the closest experience of paradise one can get. However, its relative isolation, combined with its unfamiliar altitude, can be quite daunting. Naturally, there are a few things to know before camping on Manali Leh highway. This blog familiarizes you with all the necessary information regarding a camping trip on this route. 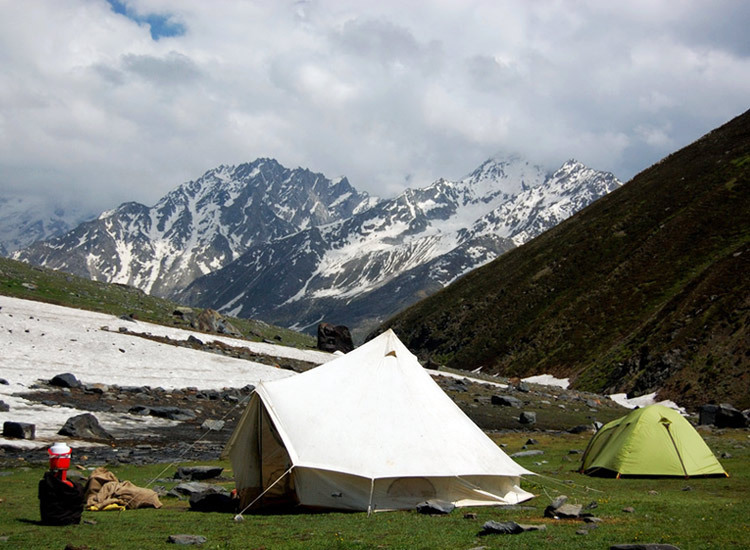 Camping can be undertaken anywhere along the various routes falling on the Manali Leh highway. However, there are certain sites where camping is strictly prohibited. These are sites that fall under the army secured zones and wetlands. Even when camping by the shores of lakes, make sure that you have the required permission to do so. Knowing where to camp on Manali Leh highway is important, and ensuring a steady water supply while camping is extremely important. Always select a camping ground where the water supply is in close proximity. This will ensure that you do not have to stray far away from your camp set-up. At the same time, it’s important to select a spot located on a high place from the stream’s level. Look for any past signs of flash floods, and set your camps where you will be shielded from the fast blowing wind. Even a little rainfall in any of the areas of Leh Manali highway, carries the potential of uprooting your tenting equipment if not set up properly. Along with this, pay close attention to the weather at all times. However, if you find yourself stuck in a village, and the weather seems to have gone crazy, it’s always better to opt for a home stay. One of the greater joys of camping is lighting a fire, and spending evening’s merrymaking around it. However, it’s very important to douse a fire completely before leaving the camp. Moreover, it’s wise to avoid lighting up at places where there are thatched roofs around. In high altitudes, one must acclimatize well before undertaking any type of activity. Setting up a camp and then dismantling it, both require a certain extent of physical exertion. Not acclimatizing properly could land you in a lot of trouble. Of course, one can camp anywhere along the entire stretch of Manali Leh highway. Till Darcha, one is very much within one’s comfort level. After that, the entire highway runs at an altitude of 14,000ft. One of the best ways of acclimatization is staying warm and well hydrated. Wash your hands regularly, carry a water bottle! In the high altitudes, and consequently, in unfamiliar environment, washing your hands regularly is very important. This is because, even a small disease like diarrhea could prove to be fatal. Here, precaution is the best cure. Wash your hands at regular intervals, and always carry a water bottle with you at all times. Most of all, the importance of carrying medicines for various ailments like an upset stomach and diarrhea can never be overemphasized. Your camping trip will last for a few days. Therefore, it’s important to carry the essential things with you while going on a camping trip. Remember to carry regular medicines, first aid, torch, a flint, a mosquito repellent and camping knife. Of course, it’s always wise to stuff enough dry fruits in your bag in case of unexpected circumstances. Observing this rule is especially important during nighttime, when the wild animals are out in the open. The smell of any food left in the open may attract them towards the camp. This could be very dangerous. To avoid these kinds of situations, pack all the food that is left after cooking, or after a meal. To avoid becoming the food of wild animals, pack your own food. This is one of the most important things to know before camping on Manali Leh highway. Nature has provided us with such breathtaking beauty. It’s a privilege to absorb it and spend time surrounded by it. However, don’t be an idiot and litter the place. Preserve the beauty and charm of the place by focus on cleanliness at all times. Enjoy the delights of camping and let others do the same too. 2 comments on "Things to Know Before Camping on Manali Leh Highway"
Your post is quiet helpful, Can you name some place/spot on manali – leh highway where i can do camping without any restriction or permission. Thank you for your kind words. I am glad you liked this post and found it to be so useful. As far as camping on Manali-Leh highway goes, you will come across several camping sites along this route. Its advisable to set a camp near them. You do not need any kind of permission to camp at most of the route along the highway. Proper camping sites are available near Sarchu. After crossing Rohtang too, you will find plenty of places to pitch your camp. However, you cannot set your camp near wetlands or conservation sites. You could also set up your camp near a dhaba or chadar tent. 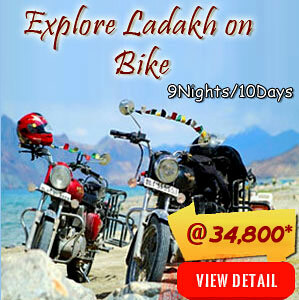 Enjoy your trip to Leh Ladakh and happy camping!